Forbes’ debut novel is powerful and she presents a host of characters who are all complex emotionally flawed beings. This is especially so in their Wyoming setting as the characters face extremely harsh winters and the difficult 24/7 life of ranchers. The plot’s emphasis on two strong women struggling to maintain a relationship is unique against a dramatic background of infidelity, single motherhood. poverty and small town isolation. “Unbroken was a very satisfying read for me. I found myself putting off eating so I could read “just one more chapter” because I was so involved in the lives of the characters. Ms. Forbes has a way of drawing you into the lives of the characters and making you feel like you are there living and working beside them, being friends with them. It’s wonderful and when the book is over you feel sad, because you want more of the story even though the story has come to its conclusion. But you want more because you don’t want to leave the characters. To me that is the mark of a good book, when the characters and the storyline stay with me after finishing. When I’m still thinking about something they said or did or wondering about a point the author was making or even applying something to my life. 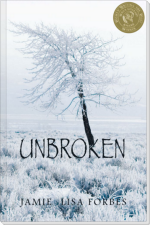 Unbroken has something for everyone. 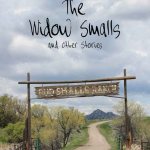 Descriptions of ranching life, romance, friendship, parenting, tough decisions and so much more. There is never a lull in the plot and I found it to be an amazing read.